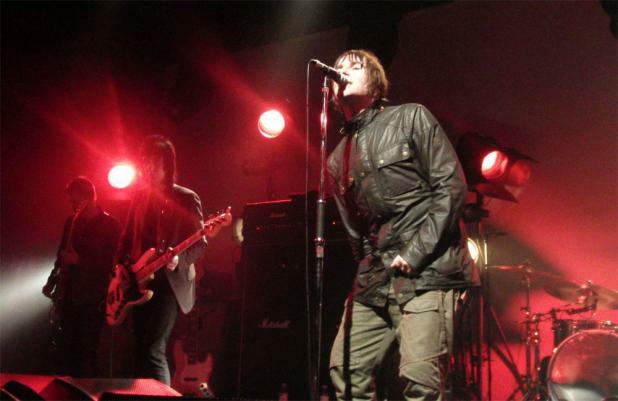 Beady Eye, Professor Green and Primal Scream have been announced as support acts for the Stone Roses' comeback shows. The legendary 'Fool's Gold' hitmakers will play three dates at Manchester's Heaton Park on June 29, 30 and July 1, and have now revealed who will be joining them for the shows. The group hailed the bill as "mix of the legendary and the new" and will feature just one act - Bob Marley's backing group The Wailers - performing every night, taking the third slot. Joining the first night will be Primal Scream - who bassist Mani joined after the Stone Roses first split, departing last year to take part in his first group's reunion - The Vaccines and Kid British. Beady Eye - long-time fans of the headline act - will lead a support bill which also includes Professor Green and Hollie Cook on the Saturday. The final date will see Plan B play, along with The Justice Tonight Band - which comprises Mick Jones, Pete Wylie and The Farm - and Dirty North.